Since our founding in 1923, Rosenthal Collins Group is a futures broker that offers the highest quality clearing and execution services in the industry. At RCG, our clients truly are our number one priority, and we pride ourselves on providing the most professional and efficient services for exchange-traded futures and options on futures. We have the ability to transact business on all major exchanges worldwide for all types of traders, including institutional, commercial, professional and individual traders. We also specialize in servicing Introducing Brokers. All of our customers have access to a wide range of customized solutions – including online account management and fundamental/technical market commentary specific to the futures markets. And, we offer a robust managed futures alternative to customers who want access to professional money management expertise. We are proud to be a clearing member at many of the largest U.S. and European futures exchanges. You can expect superior attention to detail in all aspects of clearing your trades, from accessing foreign markets, to timely fill reports, to speedy credit/debit processing. Trading happens around the clock. At RCG you can access more than two dozen major futures exchanges in the Americas, Asia and Europe online or on the phone. The team at our 24-hour execution desk is there throughout the trading week to help you execute your trades at your convenience. Conservative financial management is our hallmark at Rosenthal Collins Group. We are transparent in our investment of customer segregated funds, and we post daily updates on our website for your review. In addition, we take extensive measures to monitor risk on both a pre- and post-trade basis. We specialize in supporting Introducing Brokers—both independent and guaranteed—with a wide range of services to help grow their business. And, we are proud to be a member of the FIA, the leading global trade organization for the futures, options and centrally cleared derivatives markets, and the National Introducing Brokers Association (NIBA). Access your account information online with RCG Passport. You’ll see up-to-date information on your trades within minutes of execution. And, you can retrieve daily and monthly statements for up to five years. 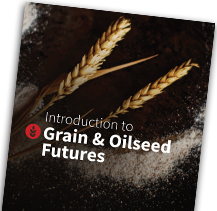 Tap into some of the best minds in the business to understand underlying market fundamentals and technical conditions in grains, livestock, metals, softs, financials and stock indexes. Market commentary from leading providers is free to all customers. Customers who want diversification in markets or trading style may find a fit with one of the managed futures services we offer. These services are provided by professional money managers.